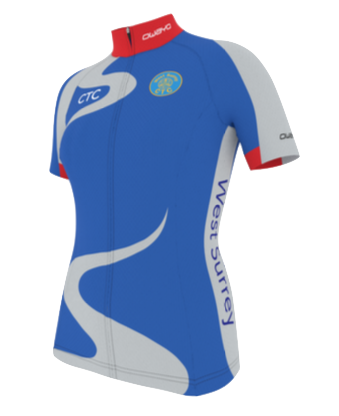 A new order for West Surrey cycle clothing will shortly be placed, so now is the time to refresh your own cycling wardrobe. 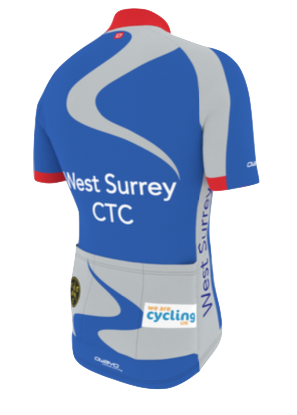 The committee have agreed to provide a generous discount on all clothing, to encourage West Surrey members to wear our own branded kit. This subsidy includes a commitment to cover the cost of any surcharges levied by our supplier for low order volumes, which means for the first time we can quote a guaranteed price for reach item, no matter what quantity is ordered. Our ability to provide this subsidy results from the profits made on club events such as the Tour of the Hills, and our wish to give this back for the benefit of members. 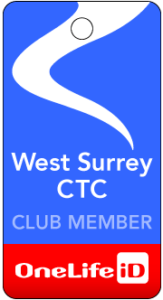 Therefore, those who helped out on events this year can be rewarded for their contribution, and those who did not can also benefit, and no doubt make a note to support the Club and help out next year. A full list of the clothing available is attached. Ladies should note that for the first time the basic short and long sleeve jerseys are available in Sport fit, which is a more generous cut than the Pro fit which previously was the only one offered. Above is an image of the latest jersey design. We have made changes to a couple of logos to bring them up-to-date, but otherwise the design and colours remain as per previous clothing. I can particularly recommend the winter cycling jerseys and winter bib tights (the latter men’s only, I’m afraid), as well as the wind jacket. The basic short and long sleeve jerseys are particularly good value, as the club discount is higher on these items. Please also see Owayo’s website for all product details, as well as sizes (click “view product” on the web page). The clothing tends to be a “snug fit”, so please take care when ordering; as an example, at 5’ 9” and 10 stone, I wear jerseys that are large, not medium, and in my opinion they fit well. I suggest you have a word with friends who already wear club clothing before ordering. , specifying item(s) to be ordered and size. I will then reply to confirm the order, and advise how and when payment should be made. All orders must be placed with me by Sunday 19th November at the latest.